One of the obvious drawbacks of online archives is that you can't handle the material. Seeing an image on the screen is one thing, but putting on a pair of white gloves and being allowed to pore over an original print, or turn through the pages of a rare book, is fundamental to understanding what makes them outstanding objects in themselves. I remember seeing a vintage print of Edward Weston's portrait of the photographer and revolutionary Tina Modotti (Tina Reciting Poetry, 1924), up close for the first time: the velvety richness in its dark tones made it seem almost three-dimensional, the weight and tension of the paper as integral to the experience of looking at it as the image it held. And there is always a special thrill that comes from seeing a favourite image in the flesh. In the Prints and Drawings Study room at the V&A, I watched as a vintage print of Walker Evans's Main Street, Saratoga Springs, New York, 1931 (a favourite, which always reminds me in turn of Monet's Boulevard des Capucines (1873) emerged from its tissue paper. With no glass between it and me, it was surprising how much concentration the close contact with the surface of the print encouraged; the fascination as much with the way the image was printed, as the image itself. In the prints of 19th-century photographers, for whom photography was an unreliable and potentially toxic series of chemical procedures, the uneven tones and slips and splashes are textural evidence of the "making" of the picture. Take Julia Margaret Cameron: the gruelling physical labour of coating, exposing, washing and fixing an image on a large but fragile glass plate, often in the cold outdoors, is palpable in the patina of her finished prints. The same tactile experience goes for photographic books. It was with this in mind that I went to see two exhibitions currently at the V&A, both of them drawing on material from its own archive, the National Art Library. One is the exhibition of rare artists' books, Blood on Paper (see Blake Morrison in the Guardian, April 19 2008); the other a small, complementary exhibition of photographic books installed at the back of the Photography room, 38A. The history of photography lies in its books. This has been, for over a century and a half, one of the principal ways photographers have presented their own work: edited, sequenced, printed to exacting standards, contextualized by captions and essays which situate them in their own place and time. Because of a combination of expensive printing processes and a relatively limited market, there was, usually, only one edition. It is only recently that reprints of classic titles are being more common. This has meant that, as photography has become more valued and collected, photography books have become collectors' items in their own right. Last month, a sale of rare photo books at Christie's in New York made a total of over $2.6 million. And, despite the popularity of exhibitions, books are often still the best way to see many photographers' works. One of the main drawbacks, particularly for students, is that photography books are expensive, both new and second-hand, and though there is a growing number of reprints, the only place you might find some titles is in a specialist photographic library. For all the work their curators have put into them, the two shows at the V&A exhibit the fundamental flaw in trying to show off rare and often fragile books to the general public. The very fact of exhibiting them denies us the intended experience of looking though a book. It's not possible to hold it, weigh it in the hand, turn through the pages, follow the narrative as it unfolds; appreciate the cumulative effect of the individual images. Instead, the books are pinned open under glass, like butterflies, with only a single spread to give any sense of what lies inside. Some of the exhibits in Blood on Paper are books more in concept than practice, such as Anselm Kiefer's free-standing lead book (The Secret Life of Plants, 2008), or Damien Hirst's elaborate cabinets (New Religion, 2005). But the books in show in the Photography gallery were intended by their makers to be held in the hand. This tiny show is carefully chosen and clearly annotated, moving from Ana Atkins's British Ferns, made around 1852, to recent works such as Stephen Gill's Buried and Nigel Shafran's RuthBook - a photograph from which, London W10, February 1994, from RuthBook, 1995, Nigel Shafran, is pictured on this blog - both examples of small, self-published editions by British photographers. In some cases, a print by the same photographer is hung above the corresponding book in its glass case. But the invitation to "consider the difference between experiencing photographs as framed objects and on the pages of books" is somewhat disingenuous, since, exhibited this way, the book is pretty much forced into the same inertia as the print. At a time when photography books are being, rightly, recognised for their importance, there is interest in photography books from all directions: the student, the public, the collector, the dealer, the publisher, the photographer. What a great exhibition could have been had here. And the V&A wouldn't have to go far for its contents. The National Art Library, one of the glories of the museum, holds at least one copy of almost every photographic book ever published. With more imagination and more space, the museum could have had a spectacular show of what it already has in its stacks. 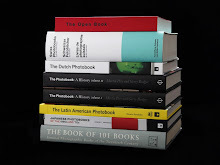 The growing interest in photographic books was signalled in 2001 with the publication of Andrew Roth's The Book of 101 Books: Seminal Photographic Books of the Twentieth Century. In 2004 and 2006, Martin Parr and Gerry Badger's two volumes of The Photo Book: A History followed. The V&A might have exhibited its own top 100, and demonstrated its ingenuity by showing them in different ways. Now that digital scanning has made it possible for whole books to be made available online - such as Paul Fusco's Robert Kennedy Funeral Train (you can watch a film here) - some pages, particularly of the very valuable or fragile books, could have been shown electronically. And with many contemporary photography books still affordable, and in print, the gallery could have made a number of copies available so that visitors could have looked through them for themselves - or the publishers would surely have supplied them. They could even have built a library of selected books, where visitors could browse, as they are doing at Site, part of the John Moores University School of Art and Design in Liverpool, where the American artist Martha Rosler's personal library is installed until June as part of its international tour. Visitors can pull out the books and photocopy any of their pages for reference. Instead, this small show is to stay up for a whole year, and visitors are directed to the National Art Library and the Prints and Drawings Study room, to request any books they would like to look at. The National Art Library is invaluable for anybody who wants to know more about photographic books. The NAL catalogue is now available online, and you can search and order up to six titles 48 hours in advance of your visit. But if you make your request in person, prepare to wait. You will possibly need a reader's ticket, which means authorisation and a delay of several days. The book might be out already. But the surroundings are gracious, and once delivered, the chance to spend a long time studying a book you've always wanted to look at, but which has become too rare or too expensive to acquire, is very satisfying. When it comes to other specialist photographic libraries, there isn't much choice. The Photographers' Gallery Library was closed years ago. The Insight research room at the Media Museum in Bradford has a very limited number of general photographic books on display. London would benefit hugely from the kind of photographic library found in Paris, at the Maison Européene de la Photographie, where, if you simply leave some form of ID at the desk, you can call up one of their collection of around 21,000 photographic and photography-related books, or find back issues of photographic magazines, and spend the afternoon in comfort, looking through them. It was here that I first laid hands on some of the rare photography books that it was (and still is) impossible either to find or to buy. The history of photography lies in its books. There is no better resource for understanding it. And despite the advantages brought by online databases and the invitation to "Search Inside!" there is no substitute for turning the pages of the real thing. One of the very best photoblogs, particularly for lovers of photography books, is the 5B4 Photography and Books blog regularly posted by the mysterious Mr Whiskets. I say mysterious, but some time ago, the America photographer Alec Soth, another of Mr Whiskets's admirers, decided to track him down, and eventually identified him as the Brooklyn-based photographer Jeffrey Ladd. Apart from writing a really excellent, balanced commentary on current photography shows, books, trends, the market, and attendant matters, he also recommends and sources books. 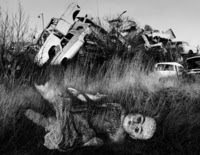 Now, he has added a new strand to his blog, the 5B4 Photobook Exchange, which is, as he explains, "created to match up neglected photo and art books with new and loving owners." He posts a list of available books, some of which come from his own collection, which include signed copies, rare collectors' items, or books he thinks deserve renewed attention, and readers can email him with an offer on the price. 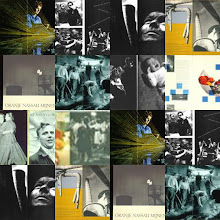 Lies Wiegman was active in several branches of photography: reportage, commercial and free work. From 1946 to 1949 she attended a course in advertising and photography at the Royal Academy of Arts in The Hague, where her teachers were Gerrit Kiljan, Paul Schuitema and Gerard de Vries. She began taking photographs in 1951 in Paris, where she spent a few years studying scenic design at the Ecole Paul Colin. In 1952 she went to New York. 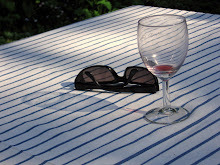 It is there that she took up photography in earnest, working nights and taking pictures during the day. 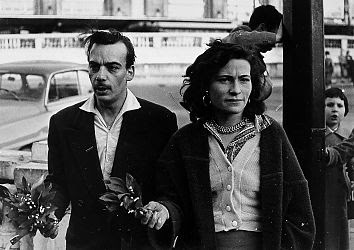 She could print her photographs at the Village Camera Club, an inspiring place frequented by such photographers as Lisette Model, Cornell Capa, Eugene Smith and Robert Frank.When her tourist visa expired in 1955 she came back to the Netherlands. She earned her living as a photographer and travelled to Central and South America. In 1962 she published her first children's book, Mijn Lama. It was followed in 1971 by another book for children, De eerste dag (the first day). Her third and last book was Bewaar het land (preserve the land), inspired by a speech delivered by the Indian chief Seattle in 1855 when his homeland was handed over to the white governor Stevens. The book was published in 1980 to mark the 75th anniversary of the founding of the Association of Nature Monuments. 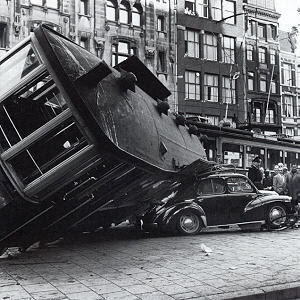 From 1969 to 1986 Lies Wiegman taught at the School of Photography in The Hague. After her retirement she moved to San Miguel de Allende in Mexico. Her interest in photography has gradually shifted towards video and especially sculpture. Van der Keuken (1938) moved from Amsterdam to Paris in 1956 to study at the School of Film, the Institute des Hautes Etudes Cinématographiques (Idhec). 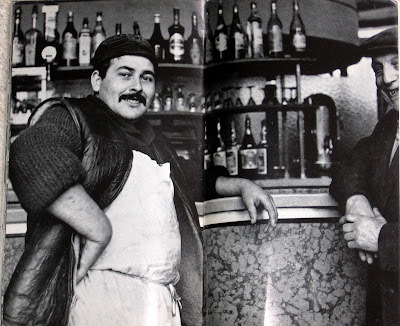 He was confronted in Paris with life and man's loneliness living in a metropolis. Van der Keuken took thousands of photographs, the city acting as a background to his feelings of desolation. In 1963 a selection of these registrations were published in the book "Paris Mortel," a title that reflects the gloomy undertone of the contents of the book. In this book, Van der Keuken attempted to reflect the complexity of the city. 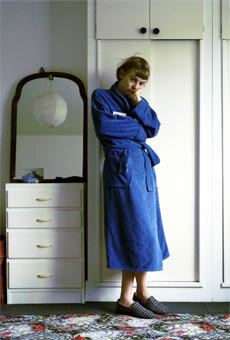 As well as being a photographer, Van der Keuken is also a film maker, but seldom practises both media at the same time. 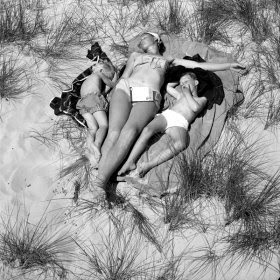 His photography was a breeding ground for his film-making and functions as a "holiday from film making". 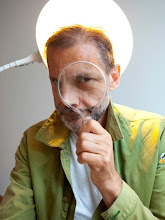 His films became more and more socially critic in due course, an involvement that had already become apparent in the photo series "Paris Mortel." 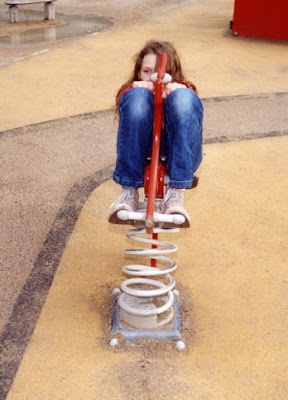 LAUSANNE.- Adolescence is probably the phase of life that raises the most questions. A gathering of young people always creates a stir and it’s not uncommon to see anxiety in the faces of any adults present. Accounts of this period of life often do no more than evoke the difficulties adolescents experience or generate. Sociologists agree that they possess a range of capacities, preferences andcultural behavior patterns that are sufficiently stable and coherent to distinguish them from the rest of the population. Advertising and the media have greatly influenced the development of this idea. 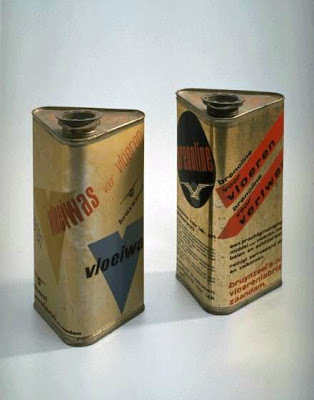 With the increase in purchasing power in post-War years, a market developed that was specifically devoted to the young and that was avid for new products. In the field of photography, the representation of adolescence really took off in the second half of the 20th century with the work of precursors such as the Americans Bruce Davidson and Larry Clark. Their pictures reveal youth in revolt, disturbed and delinquent. 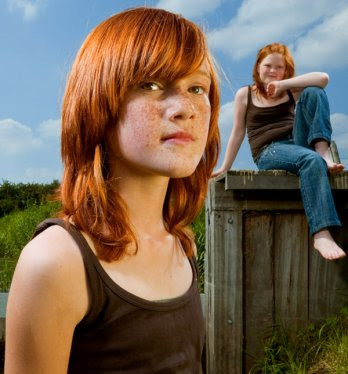 During the 1990’s, the Dutch artist Rineke Dijkstra, famous for her pictures of vulnerable adolescent bodies, had a deep influence on the genre that encouraged other artists to take an interest in the subject. The Musée de l’Elysée has chosen to show work that differs from these pioneering efforts. The exhibition does not present a generic portrait of adolescence but rather brings together work done by photographers over the last ten years dealing with a variety of issues: schools as autonomous, closed spaces; the difficult balance between individuality and belonging to a group; the interaction between generations; the conflict between the search for authenticity and norms of behaviour; the end of a carefree existence and the transition towards the harsh reality of adult life; the dreams, fantasies and values that are often far removed from the conventions of society; the construction of a new body; the experience of sexuality. Foam presents an exhibition celebrating the seventy-fifth birthday of the Amsterdam photographer Kor van Bennekom (b. 1933). 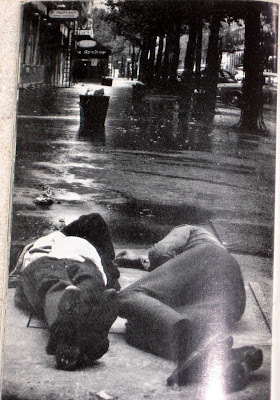 It was in 1956, at the height of the Cold War, that Kor van Bennekom began working as a photographer for the communist newspaper De Waarheid, where he remained with until 1965. His photos provide a magnificent record of ordinary, hard-working people in a city rebuilding after the war, racked by poverty and unrest. 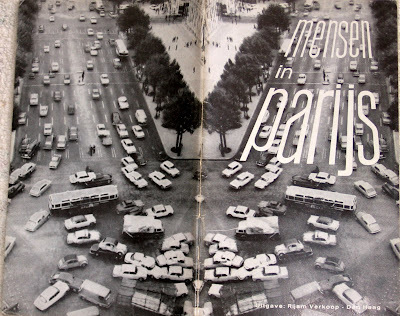 In 1966 Van Bennekom helped found Uitkrant voor Amsterdammers, a magazine of listings and articles about culture in the capital. 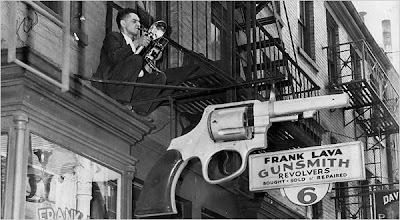 Van Bennekom brought street photography into the theatre, portraying Dutch and international actors, musicians, ballet dancers and cabaret artists in a bold and vibrant style. 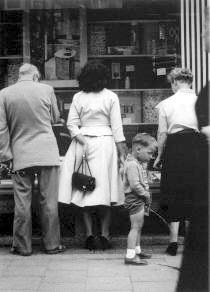 At the same time, Van Bennekom also photographed his family. 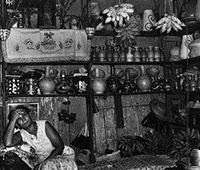 These photos tell the simple, unadorned story of a home life in which his wife Ine, his children, grandchildren and he himself are the main characters. Kor van Bennekom is a combination of street photographer, theatre photographer and family photographer, whose remarkable oeuvre reflects the history of the Netherlands in the second half of the twentieth century. 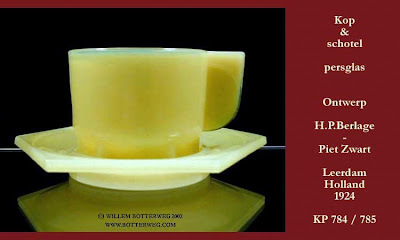 Piet Zwart (1885-1977) owes his reputation mainly to his design for the Bruynzeel kitchen in 1938 and his progressive graphic designs for companies like PTT and cable manufacturer Nederlandsche Kabelfabriek. But the major Piet Zwart retrospective in the Gemeentemuseum this summer shows a much broader body of work. 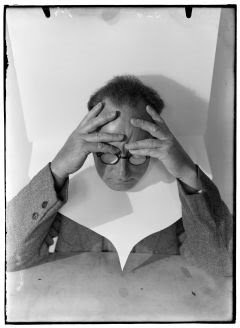 He worked as an interior designer, industrial design, commercial typographer, photographer, critic and lecturer, playing in all these capacities a key role in defining the design climate in the Netherlands in the twentieth century. His versatility and his influence on present-day designers led the Association of Dutch Designers to award him the title of ‘Designer of the Century’ in 2000. Piet Zwart preferred to call himself a form engineer or form technician rather than a designer. He believed in functionality, standardisation and machine production, and profiled himself as one of the first industrial designers in the Netherlands. In his eyes, a design must take account both of ergonomics and user-friendliness, and of the demands of mass production. The kitchen he designed for Bruynzeel in 1938 is a good example. It was highly progressive for its time. This was the first time that domestic appliances like a refrigerator and stove could be integrated in the design in a practical way. All the elements were designed with logical proportions, and customers could combine them as they wished. Handy details like glass containers, a pull-out bread board and storage racks made the kitchen a textbook example of comfort and efficiency. The same urge to innovate is also evident in Piet Zwart’s graphic work. 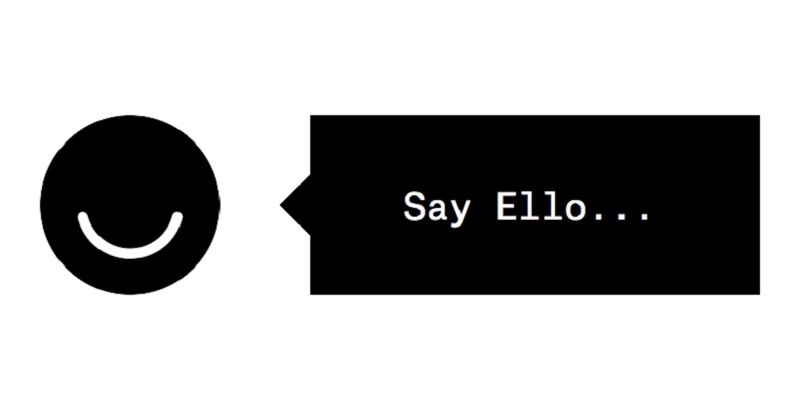 His designs are simple and functional, but also playful. Zwart was not a ‘group man’. He was not part of the Amsterdam School or the ‘De Stijl’ movement, though he was influenced by them. At the same time, he was drawn to the international avant-garde, particularly Russian Constructivism. 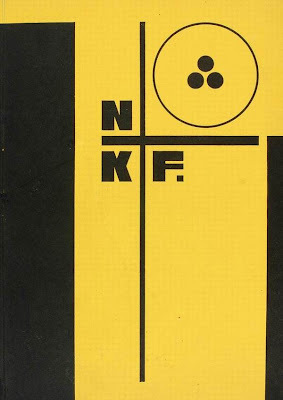 In the 1920s, when Piet Zwart began to work for the progressive Nederlandsche Kabelfabriek In Delft, he was able for the first time to experiment with upper and lower case, lines, circles and screens. 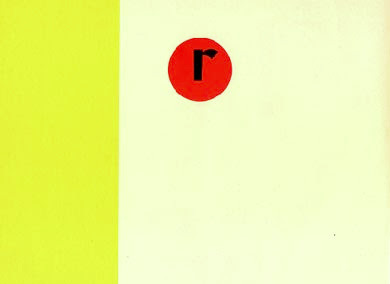 He used alliteration, the visual reworking of letter shapes, repetition and combinations of figures and letters, creating his own unique new style that still has great influence today. Zwart soon incorporated photographs into his advertising images. His photographic work is also very no-nonsense, evidence of his predilection for lines and planes, and his keen eye for detail. Besides advertising photography, he also took images of the surface structures of wood, metal and textiles, and close-ups of organic forms for a while. Many of these photographs possess an almost machine-like element of repetition, reflecting Zwart’s love of structure and balance. IBB: n.v. Ingenieurs-Bureau voor Bouwnijverheid Oegstgeest. Photography Cas Oorthuys, Jaap d' Oliveira. Illustrations: Theo Kurpershoek. Layout Piet Zwart. Oegstgeest / 1950 / 72 p. / hb. / 33x25cm / 188 b&w photographs, in opdracht en uit bedrijfsarchief / bedrijfsreportage en documentaire foto's / gerealiseerde gebouwen, heien gewapend betonwerken). - Ill. 6 b&w photographs, 1 color / frontispice, tekening, topografisch overzicht, beeldmerk / bouwactiviteit van bouwwerken). / NN / Firmenschrift, Festschrift / Photographie - Anthology - Auftragsphotographie, commissioned photography - Nederland, Niederlande - 20. Jahrh. / Printed by Koch & Knuttel, Gouda (boekdruk). - Opdrachtgever: NV Ingenieurs-Bureau voor Bouwnijverheid (25-jarig bestaan). - Foto-typo-taal. In de opmaak wordt voortgebouwd op de functionele typografie. IBB is voornamelijk een catalogus van opgeleverde gebouwen. 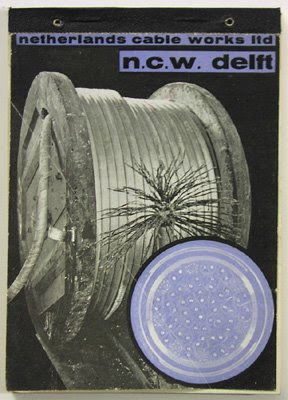 Delft kabels: nederlandsche kabelfabriek n.k.f. delft. [Introduction, photography, ill., layout Piet Zwart]. Delft / 1933 / 50 p. / hb. / 23x19cm / 66 b&w photographs / productfoto's en bedrijfsreportage / dwarsdoorsneden en fabricage van kabels, laboratorium, interieur van de fabriek. - Ill. plattegrond, schematische tekeningen en colorbalken langs tabbladen / kabels, papier-monsters. / NN / Firmenschrift / Photographie - Monographie - Auftragsphotographie, commissioned photography - Nederland, Niederlande - 20. Jahrh. / Printed by NV Drukkerij Trio, Den Haag (boekdruk). - Opdrachtgever: (voorlichting). - Voorloper van bedrijfsfotoboek met kenmerken van vroeg-industriële - en productfotografie. Instructief boekje waarin de fabricage van een zwakstroomkabel wordt afgebeeld. De bedrijfsreportage speelt op de achtergrond van de productfotografie. Afbeeldingen van de mens en van werkende handen zijn in fotomontages verwerkt Lit. : K. Broos, Piet Zwart [1885-1977], Amsterdam 1997. Reclame. 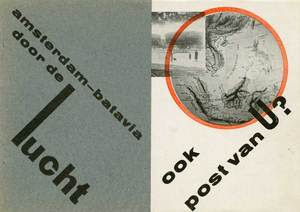 [Text (firm's history), photography, layout Piet Zwart]. Rotterdam Nijgh & Van Ditmar / 1930-1931 / 30 p. / Japans blokboek / 18x25cm / 23 b&w photographs / productfoto's en bedrijfsreportage / handelsdrukwerk, productieproces, mensbeelden en houtstammen). - Illustrations: (1 b&w photographs, 4 color / advertenties, rastertekening, typografisch symbool). / NN / Firmenschrift / Wirtschaft, Firmengeschichte - Photographie - Monographie - Auftragsphotographie, commissioned photography - Nederland, Niederlande - 20. Jahrh. / Printed by Nijgh en Van Ditmar, Rotterdam (boekdruk). - Opdrachtgever: Nijgh en Van Ditmar NV (voorlichting). - Voorloper van bedrijfsfotoboek met kenmerken van foto-typo-taal. 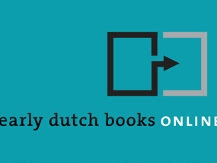 Een instructief voorlichtingsboekje over het hoe en waarom rond de productie van reclame. De uitgave is in oblong formaat verschenen. Amsterdam-Batavia door de lucht: ook post voor U? 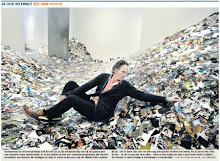 [Photography, layout Piet Zwart]. Den Haag / 1929 / 18 p. / Unpb. (sewn) / 16x11cm / 55 b&w photographs, in opdracht en uit bedrijfsarchief / fotomontages, productfotografie, documentaire foto's / vliegtuigen, landingsproblemen, vlucht Nederland-Indonesië. - Ill. lijnen, vlakjes, balken en cirkels in de colorstelling rood-zwart. / NN / Firmenschrift / Photographie - Monographie - Auftragsphotographie, commissioned photography - Nederland, Niederlande - Verkehr, Flugzeug - Indonesia, Indonesien - 20. Jahrh. / Printed by Drukkerij Trio, Den Haag (boekdruk). - Opdrachtgever: Hoofdbestuur der PTT (voorlichting). Voorloper van het bedrijfsfotoboek. Een vooroorlogse bedrijfsuitgave gericht op voorlichting van het publiek. Het boekje bestaat volledig uit fotomontages en ritmische fotoreeksjes. NKF: N.V. Nederlandsche Kabelfabriek. [Photography, layout Piet Zwart]. Delft / 1928 / 88 p. / hb. / 30x22cm / 77 b&w photographs, in opdracht en uit archief / fotomontages, fotogram en productfotografie / interieuropnamen, kabels en stadslandschappen. - Ill. plattegrond, striptekening, reproducties uit tijdschrift / cirkels, vierkanten, balken, stadsplan). / NN / Firmenschrift / Photographie - Monographie - Auftragsphotographie, commissioned photography - Nederland, Niederlande - 20. Jahrh. / Printed by Drukkerij Trio, Den Haag (boekdruk). - Opdrachtgever: NKF: N.V. Nederlandsche Kabelfabriek (public relation/information). Voorloper van het bedrijfsfotoboek. De nadruk ligt op productfotografie. Het productieproces en de werkende mens worden nauwelijks in beeld gebracht. Een Engelstalige editie verscheen in 1929. 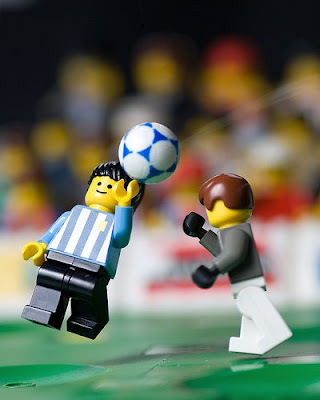 A Lego recreation of Diego Maradona’s ‘Hand of God’ goal during the quarter finals of the 1986 World cup between England and Argentina. 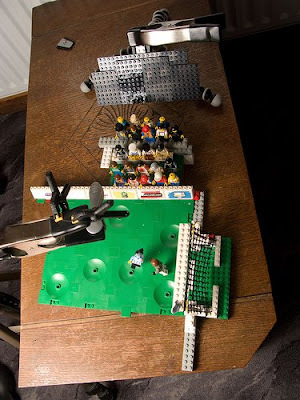 I dare say I've actually been inspired by Lego blocks this morning, and, quite possibly, these classic scenes from human history could make self-described fanatic Jesus Diaz weep—just a little. 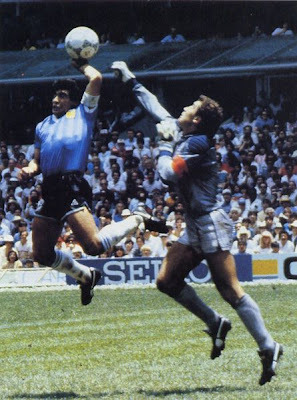 There's Jeff Widener's 1989 photograph of "The unknown rebel" at Tiananmen square; and Joe Rosenthal's 1945 photograph "Raising the flag on Iwo Jima"; and—especially poignant for this soccer player—even Maradona's infamous "Hand of God" goal from the 1986 World Cup. For something so toy-like to be so inspiring and thought-provoking is a testament to the creator, a Flickr user known simply as Balakov. A plastic hat tip to you, sir.